Tue., March 15, 2016, 1:42 p.m. Prior to Monday, it was illegal to tip the person behind the counter at a state-licensed marijuana store for explaining the potency differences among various strains of marijuana or recommending a particular product for a specific ailment. For those who’ve never been in a marijuana store, think of it as the marijuana equivalent of tipping the sommelier for recommending the proper chardonnay to go with that salmon entree. Not everybody does it, said Brian Smith, a spokesman for the Liquor and Cannabis Board, which regulates those stores. But now those who want to can. 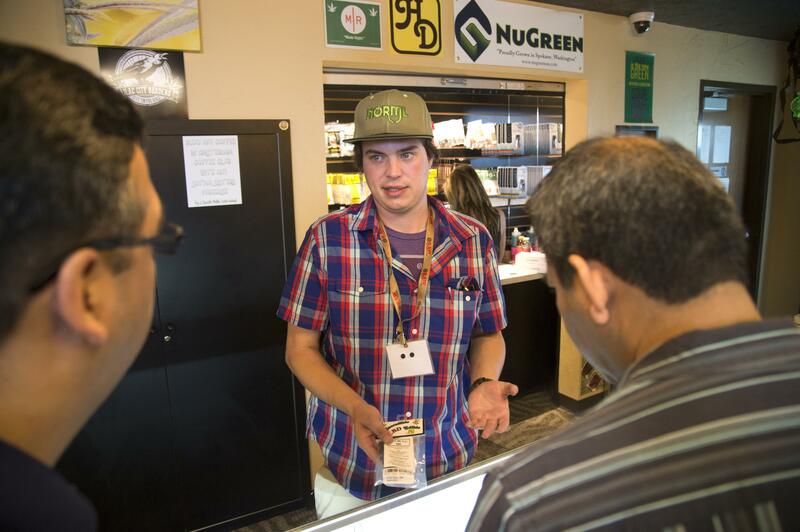 On Monday, the Liquor and Cannabis Board removed the prohibition on tipping employees, sometimes called bud tenders because of their knowledge of the effects of various products. The change is an offshoot of last year’s revisions to state marijuana laws, which rearranged the tax system, Smith said. Under the old system, which assigned taxes at the production, processing and retail levels, some stores would try to get around the final tax by offering to sell a product at a reduced price – and thus a reduced tax – in exchange for a large tip. Or they’d try to evade taxes by “bundling,” selling the marijuana cheap while jacking up the price of another item, like a lighter, that would have a lower tax rate. The board banned tipping and bundling. After the new law required the tax be collected solely by the retailer and outlawed bundling, the board decided there is less concern about manipulating prices through tips to avoid taxes. The stores also were lobbying to allow tipping or to put tip jars on the counter, Smith said, and the board agreed. “Effective immediately, customer tipping is now an allowable practice in licensed marijuana stores,” the board said. Allowable, but not required. It can’t be a condition of the sale or used to lower the price. Bud tenders should also be warned they may have to pay employee taxes on their tips, just like restaurant staff. Published: March 15, 2016, 1:42 p.m.